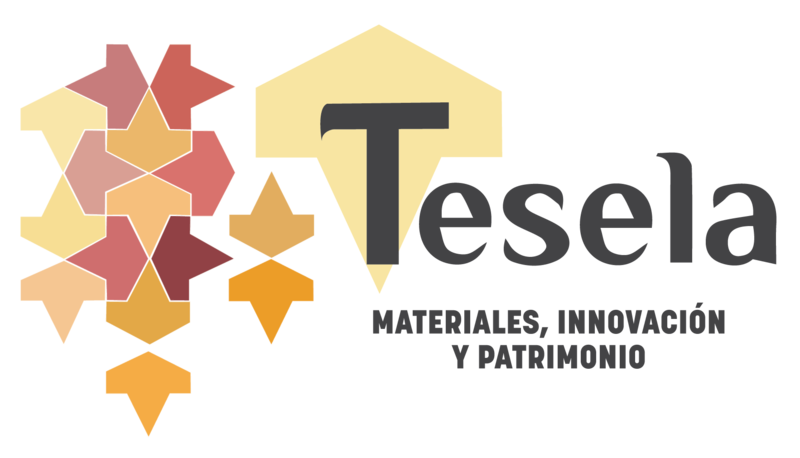 In the Laboratory/Innovation area of TESELA we characterise, study and develop all types of works of art and construction materials, whether traditional, advanced or sustainable. 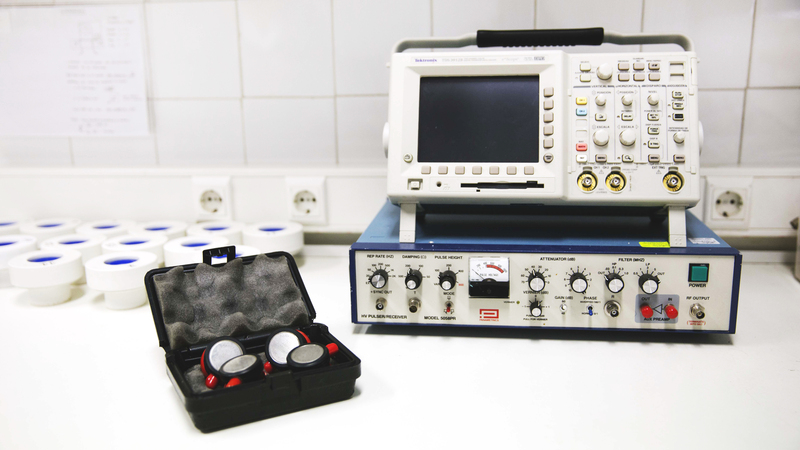 The use of a wide range of equipment enables us to carry out specialized technical-scientific reports based on the compositional characteristics, intrinsic properties and uses of each material. Moreover, we carry out material development and research for companies that manufacture building materials (limes, mortars, ceramics, concrete, paints, cements, etc. ), and consulting to professionals from the field of construction, rehabilitation and restoration (architects, quantity surveyors, engineers, master builders, restorers, etc. ), and to experts in archaeological and archaeometric studies. With regard to TRADITIONAL MATERIALS found in historical-artistic heritage, conservation-restoration interventions have the objective of maintaining the cultural, historical and aesthetic integrity of the damaged cultural property. At the same time, they guarantee its physical stability and longevity. In order to achieve this, it is necessary to characterise the materials that constitute the good, as well as to investigate the pathologies and understand the causes of deterioration, thus enabling the company to provide the basis for a proper intervention. In terms of SUSTAINABLE BUILDING MATERIALS, our objective is to create a new line of materials oriented towards bio-construction, which is traditional (regarding the old criteria of construction ) but modern at the same time, from a technical point of view. In addition, we want to ensure a link between the criteria of sustainable architecture and the principles of restoration. It is well known that the choice of suitable materials compatible with the original, reversible and durable ones is an essential condition to guarantee the success of rehabilitation and restoration works. Moreover, the use of more environmentally friendly materials (e.g. plant and mineral derivatives materials, less contaminant and more energy efficient) would enable restoration projects to be in accordance with environmental and economic criteria. In terms of ADVANCED MATERIALS, the research and development of new technologies applied to this sector open a range of possibilities for its use in the design of new products based on binders for construction and other sectors, as well as for the optimization of existing materials (economic, energy, sustainable, mechanical, ergonomic, etc.). First-hand knowledge of the raw materials (characteristics, properties, new applications and uses) offered by the market, together with a research and technological surveillance work in this field, provides us with a comprehensive knowledge of technologies and new materials at a multi-sectoral level (not only under construction), enabling us to be at the cutting edge of the development of new advanced materials. TESELA is able to show in the industrial sector the great importance of keeping up to date on the new advances in formulation, sometimes backed up by suppliers proposals.. Our intention is to put in value the advantages they offer, as well as to enable new ways of development. Therefore, we offer the factories or production centers the means and the knowledge that enable them to reach the expected objectives, so that they can offer to the market products of defined benefits guaranteed the quality of the same and achieving the improvements in their competitiveness, having present its productive processes. In TESELA, we always keep in mind in mind the uses and characteristics of the sector, therefore we have the specific instruments, and we have the support of analytical techniques that enable us to study the material, taking its analysis even to the characterisation of its composition and internal structure, enabling us to approach the work from a multidisciplinary approach, fruit of the combination of all lines of work in materials, that we are able to cover. Study of the requirements, tools and traceability in order to carry out research lines. Implementation of the different stages that lead us to the characterisation of a new material or product. Evaluation of the impact on the sector for planned uses and new applications to be developed. – Aggregates, fillers, pozzolanic additions, etc. – Hydraulic and aerial setting binders. – Organic and inorganic additives. Assessment of the physical-chemical properties of the materials for their endorsement as standardised materials according to the regulations and the internal controls in force. We perform an evaluation of the compatibility between different materials according to their intended use and to the availability of resources needed for their implementation in situ. 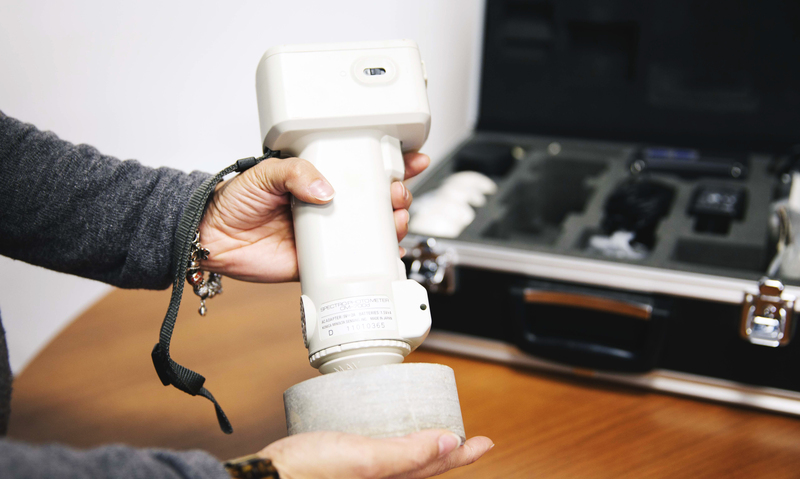 We perform analyses of the materials behaviour according to the stipulated properties and uses, depending on the environmental conditions, available machinery, and the influence of other external agents. We offer consulting for the optimization of formulations, with a global vision that contemplates the productive process, uses and requirements. 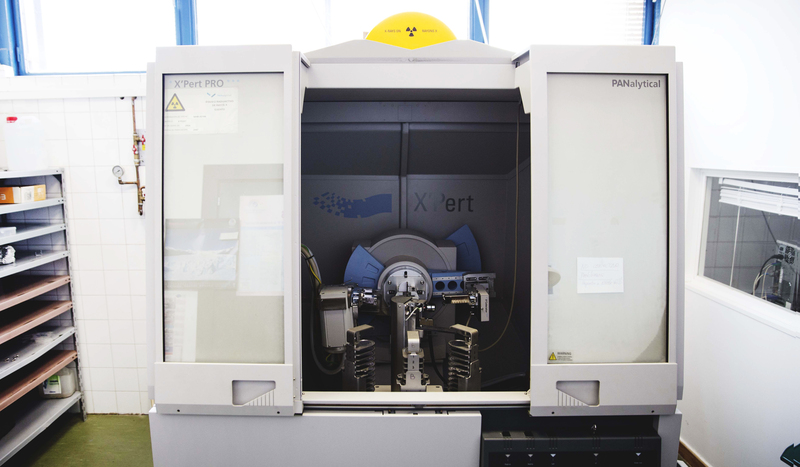 Performed gradually, this activity aims to promote continuous and advanced materials improvement. Based on the materials description and characteristics, we assess their suitability for the proposed use. If you are interested in any of our services, please contact us and we will attend you as soon as possible.